Investing.com – Japan stocks were lower after the close on Friday, as losses in the Banking, Paper & Pulp and Power sectors led shares lower. At the close in Tokyo, the Nikkei 225 lost 0.78%. The best performers of the session on the Nikkei 225 were Maruha Nichiro Corp (T:1333), which rose 3.42% or 145.0 points to trade at 4385.0 at the close. Meanwhile, Casio Computer Co., Ltd. (T:6952) added 2.97% or 52.0 points to end at 1801.0 and Nippon Light Metal Holdings Co. (T:5703) was up 2.94% or 7.0 points to 245.0 in late trade. The worst performers of the session were SUMCO Corp. (T:3436), which fell 4.17% or 97.0 points to trade at 2231.0 at the close. The Japan Steel Works, Ltd. (T:5631) declined 3.34% or 98.0 points to end at 2840.0 and Softbank Corp. (T:9984) was down 2.80% or 242.0 points to 8399.0. Falling stocks outnumbered advancing ones on the Tokyo Stock Exchange by 1937 to 1446 and 184 ended unchanged. Shares in Maruha Nichiro Corp (T:1333) rose to all time highs; rising 3.42% or 145.0 to 4385.0. 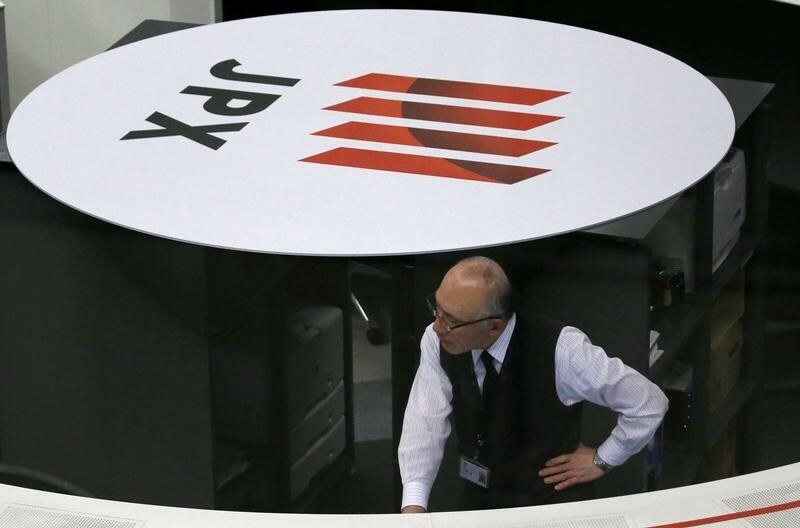 The Nikkei Volatility, which measures the implied volatility of Nikkei 225 options, was down 3.86% to 16.67. Crude oil for August delivery was up 1.07% or 0.70 to $66.24 a barrel. Elsewhere in commodities trading, Brent oil for delivery in August rose 1.27% or 0.93 to hit $73.98 a barrel, while the August Gold Futures contract fell 0.02% or 0.20 to trade at $1270.30 a troy ounce. USD/JPY was up 0.16% to 110.17, while EUR/JPY rose 0.63% to 128.44. The US Dollar Index Futures was down 0.33% at 94.23.